I have been getting greta support here... Thank you to all that take the time !!! This has been a problem since we switched to BM. I am probably over looking something !!! 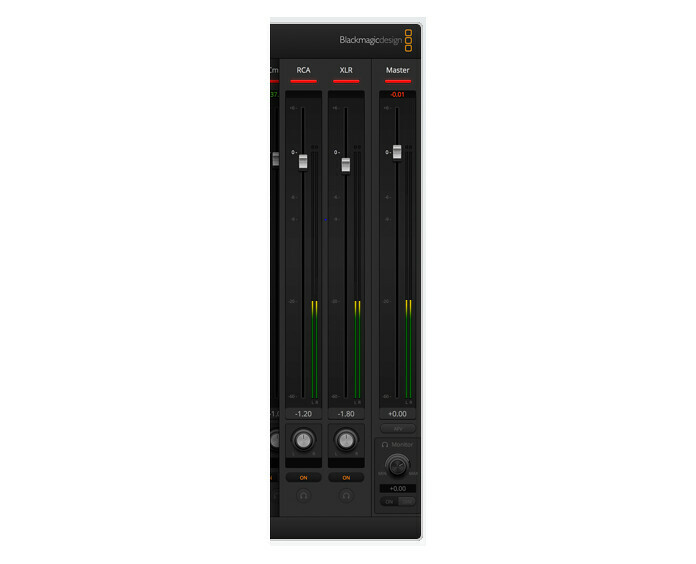 We are coming out Behringer x32 bus 8&9 post fader and I mix on ipad. XLRs go directly into ATEM.. I am the media director at the church but was hired for website / video editing / after effects.... LOL not sound !! You have a good match > like line levels ? not like Line Out on Mic In ? maybe there are pre-amps switch on, where they should not, or visa versa ? no impediance mis matches ? maybe all too simple, but this is to rule things out. btw. there's some difference between a PA mixer and a DJ mixer, you're using the right one for the job ? first lets cover your setup. i'm thinking your X32 busses 8-9 should be connected by 2 XLR cables to the 2 inputs on the ATEM, buss 8 to the left input, buss 9 to the right input... yes? if so, make sure you have proper levels between the two. in the X32 monitor menu, set the oscillator to -20db level, turn it on and assign it to buss 8.
if all is well, you will see -20db on the left channel XLR audio meter in the ATEM software. If you don't there is a problem either from the X32 output or the cables being used. Set the Master fader to the "0" mark near the top. Make sure the XLR channel is turned on, then adjust the XLR fader up or down until the Master VU reads -20. Change your oscillator to Buss 9, verify it is the same on the ATEM right channel meters. Once you get to this point, leave the ATEM faders set. You can now mix on your X32 and be assured that the two devices will be the same level. When mixing on the X32, ensure that your levels are good to Buss 8-9. By good, i mean that the level during speaking should have peaks between -20 and -8. If this isn't clear, ask an audio guy to show you. The X32 is cool as it have many options for dynamic processing that can really keep this level optimized if you know what you are doing. This all looks awesome info. I am going to try to look at all this this week and will let everyone know. Thanks for all the help. All is sounding pretty good ... not perfect. We are having levels on bm atem that show clipping, but actual audio is not clipping on live feed or in recording. So all is working well enough to be satisfied.